In the past 20 years, Soca Monarch has grown into the biggest, most profitable, most anticipated show of the Carnival season. The first National Soca Monarch was held in 1994 with the Black Wizard donning that first coveted crown. In the two previous years (1992, 1993) a privately-run Soca Monarch was held at the Sugar Mill Night Club, with Inspector walking away victorious on both occasions. Mr Killa and Sheldon Douglas are tied for most Soca Monarch wins at 3, with Inspector and the duo of Luni Spark & Electrify on 2 victories each. 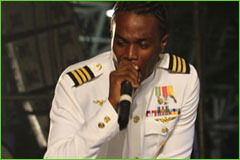 Ajamu and Black Wizard are the only artistes to win the Calypso Monarch and the Soca Monarch titles in the same year. Sheldon Douglas (1999), Boogie B (2005), Mr Killa (2009), Otis (2010), Lavaman (2012) and Boyzie (2013) have all won the Road March title in the same year as the Soca Monarch. See the full list here.